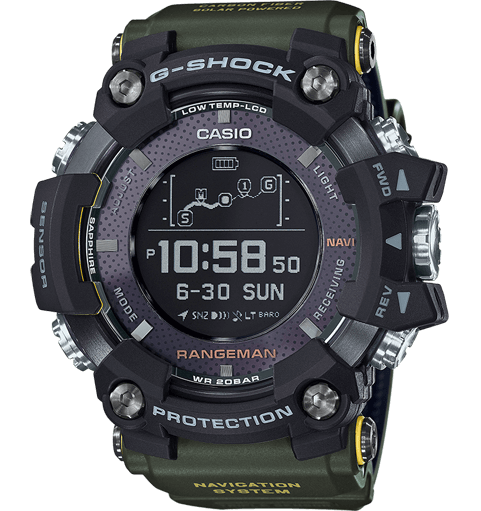 Whilst frequent business travellers particularly appreciate features such as radio technology and GPS, sports fans and outdoor enthusiasts set greater store by sensor technology for gauging weather patterns and tides, and for orientation. 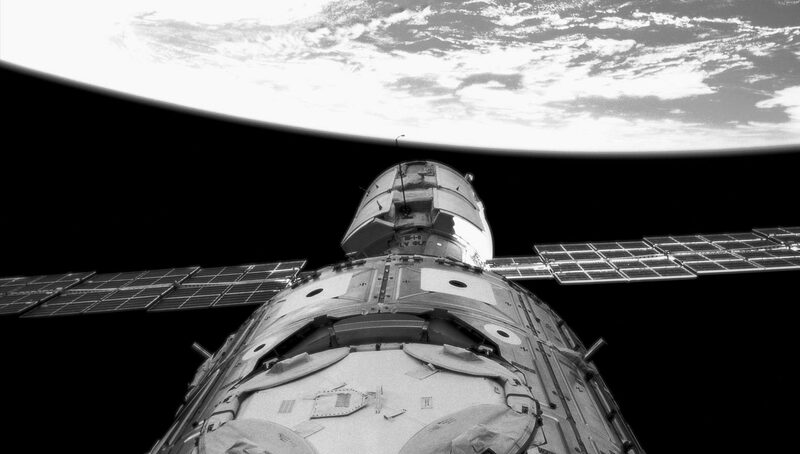 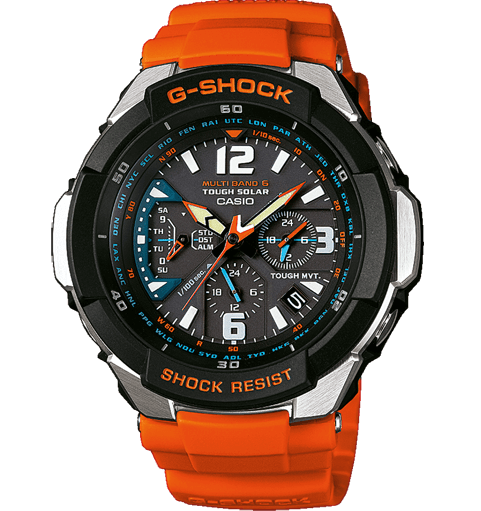 By employing solar technology, solar cells ensure an environmentally friendly energy supply for the watch, while excess solar energy is stored in a battery. 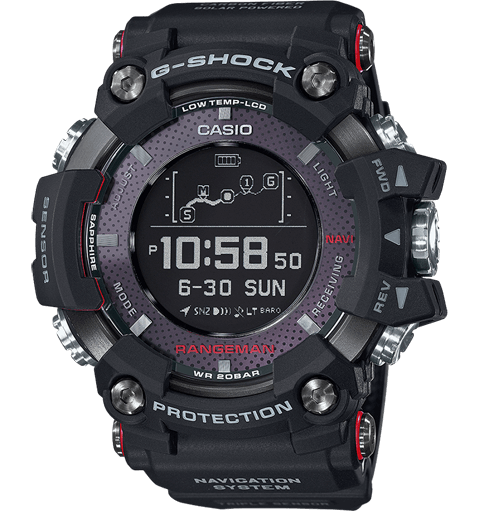 No matter what technology you prefer, the G-SHOCK always uses the very latest technology, and of course is always extremely tough! 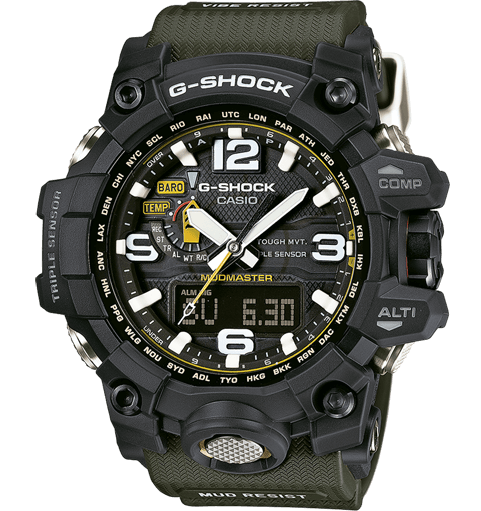 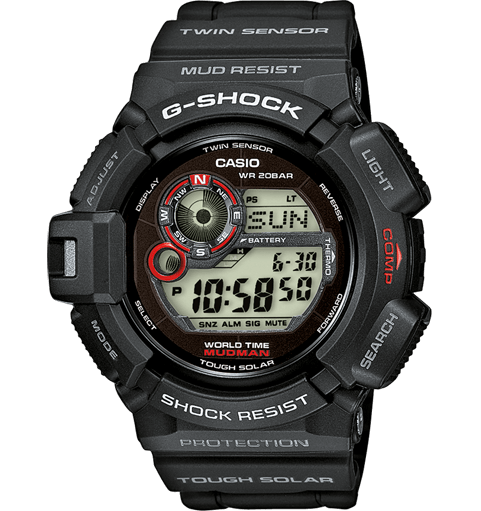 Thanks to the innovative GPS Hybrid technology, a combination of energy-efficient high-performance GPS and radio technology (Multiband 6), time adjustment is performed by two powerful systems that complement each other and therefore display the precise time at virtually any location in the world: Where available, the G-SHOCK automatically receives the radio signal of the respective regions, and therefore shows the correct time with atomic accuracy in Europe, North America and Japan, as well as in distant parts of Canada, Central America and China. 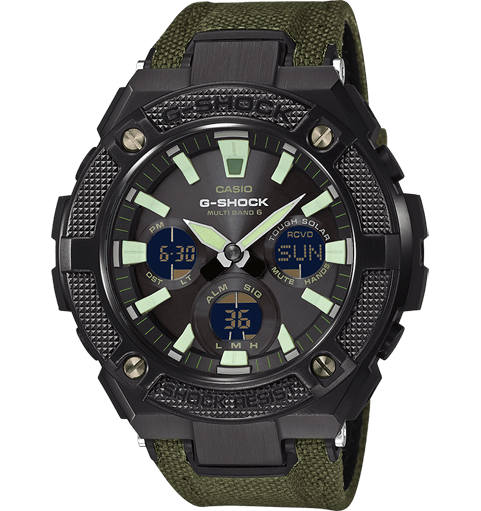 Where these signals are not available, the watch corrects the time using GPS signals — also fully automatically. 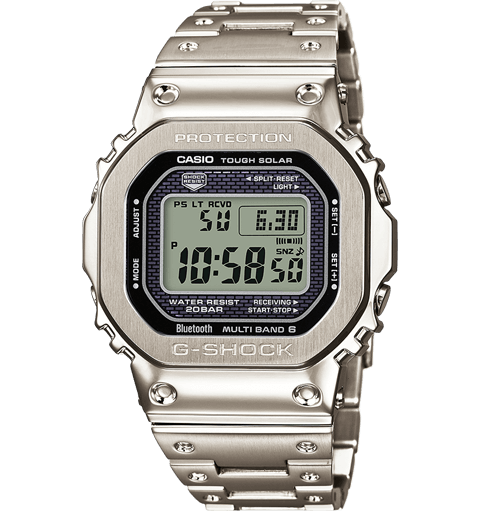 The time can, of course, also be set manually using both systems. 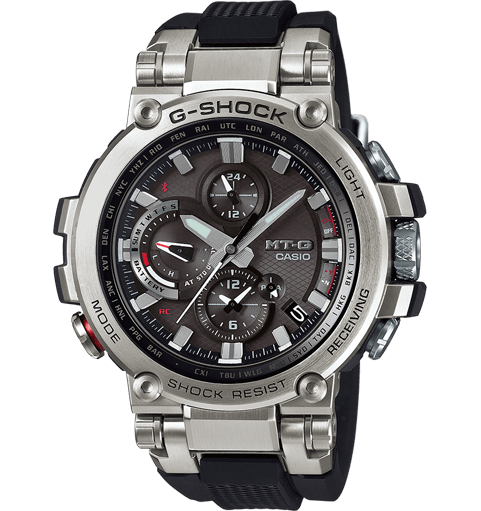 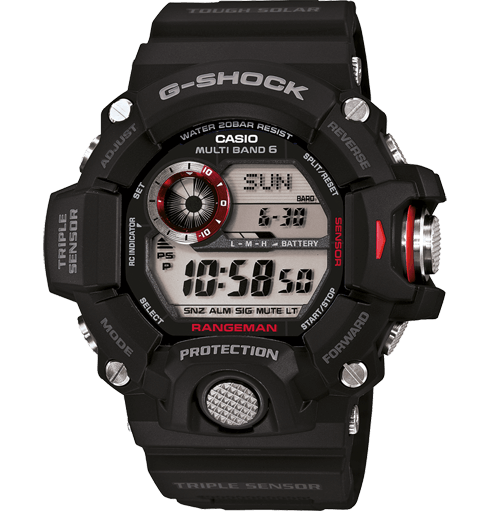 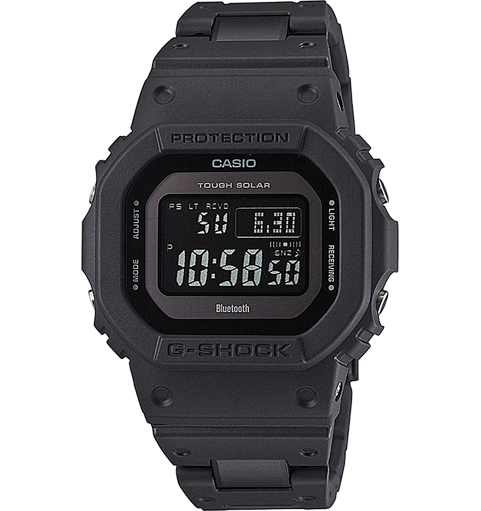 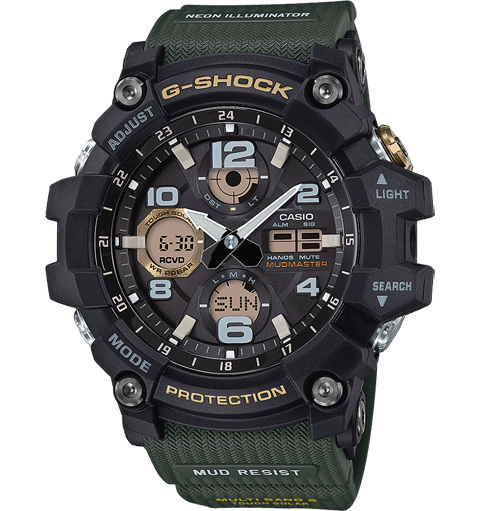 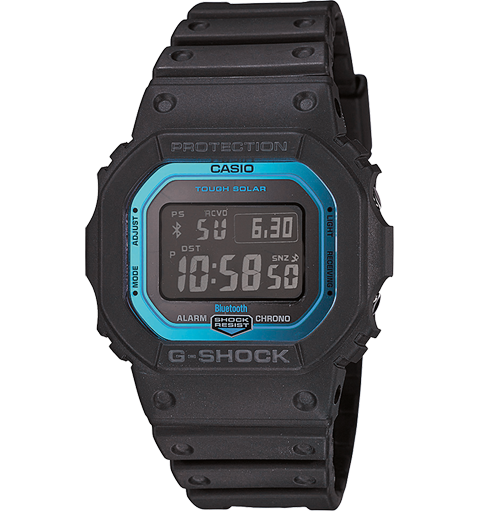 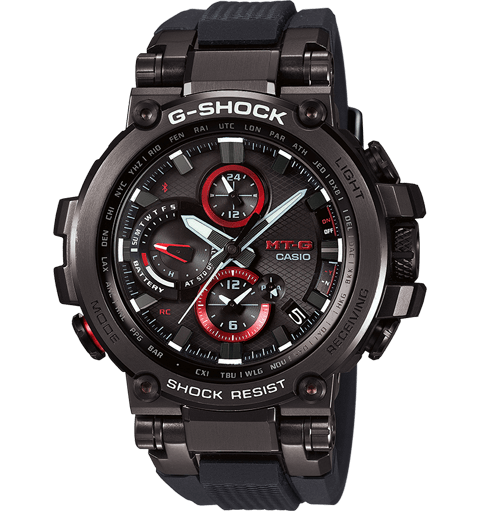 All radio-controlled G-SHOCK watches include a tiny antenna which enables precise time recording thanks to radio signal reception. 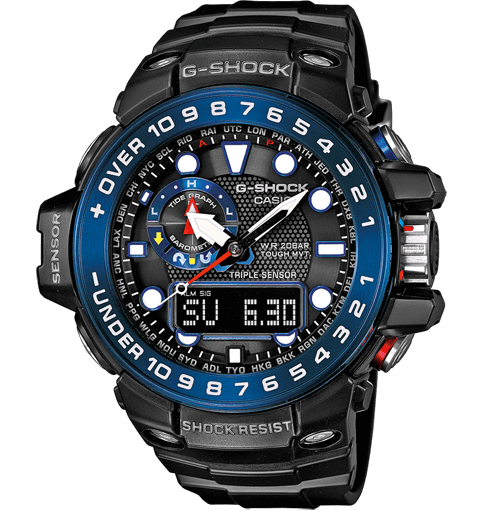 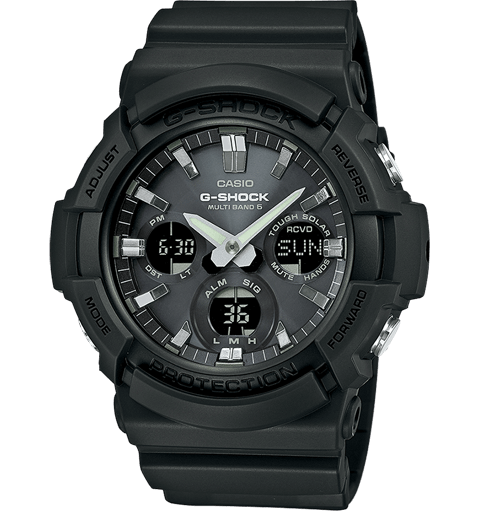 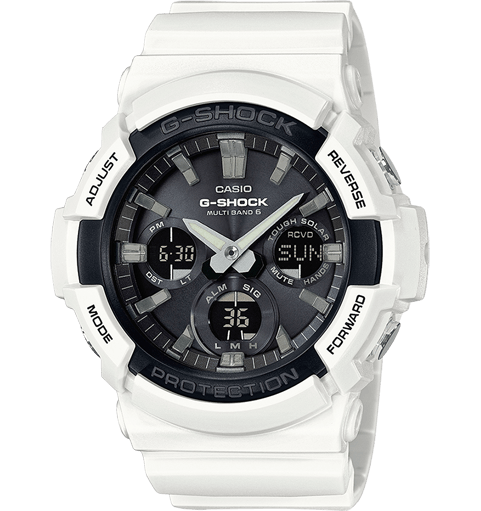 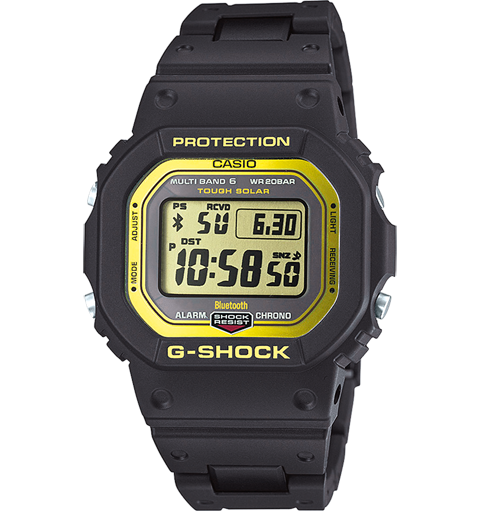 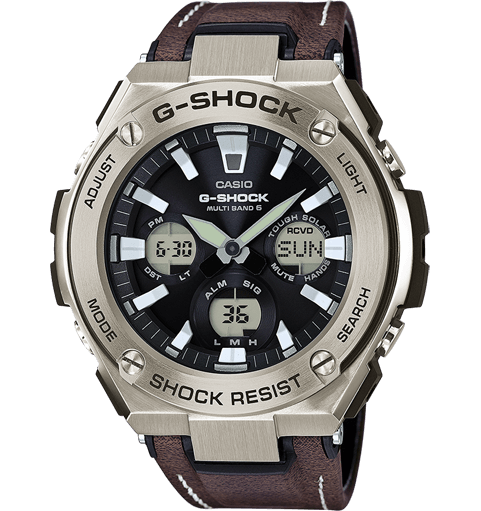 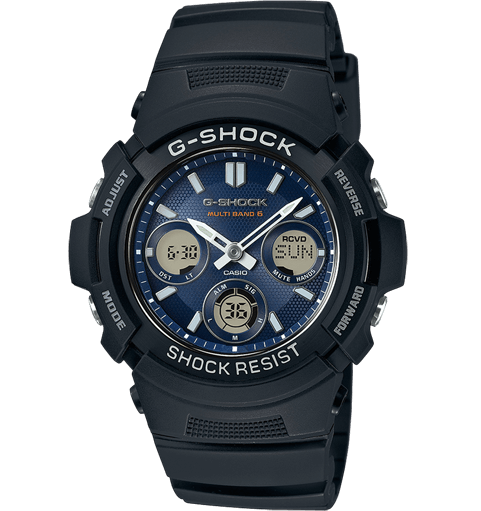 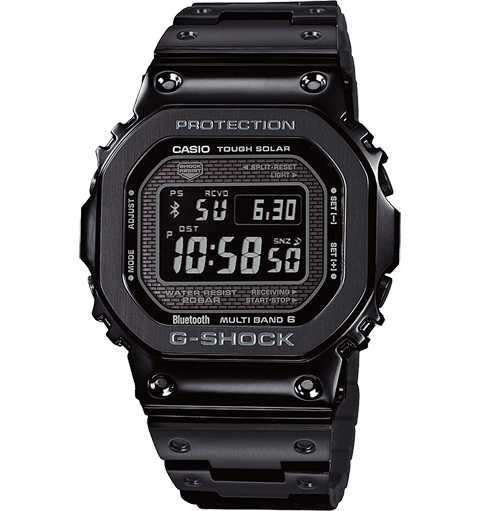 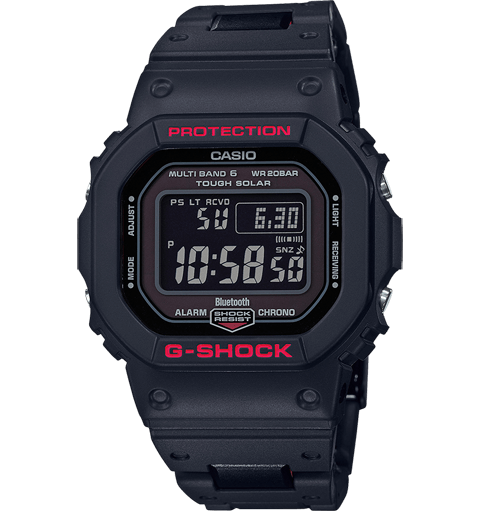 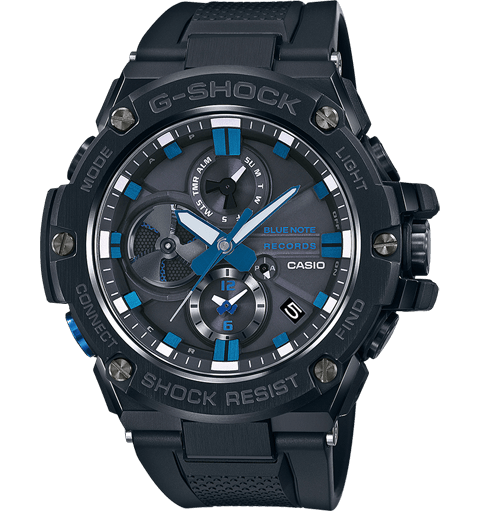 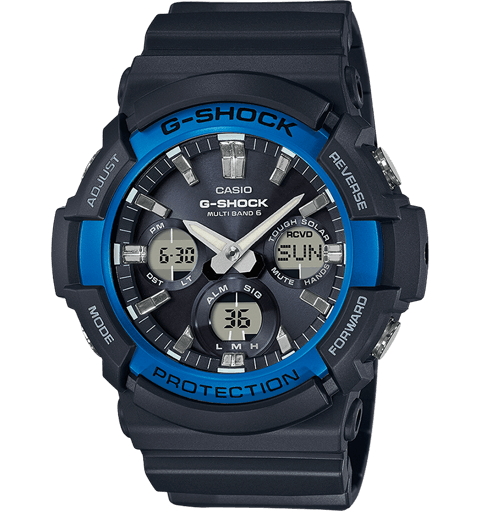 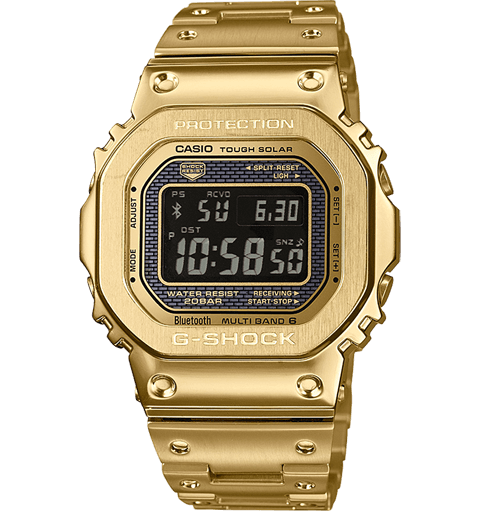 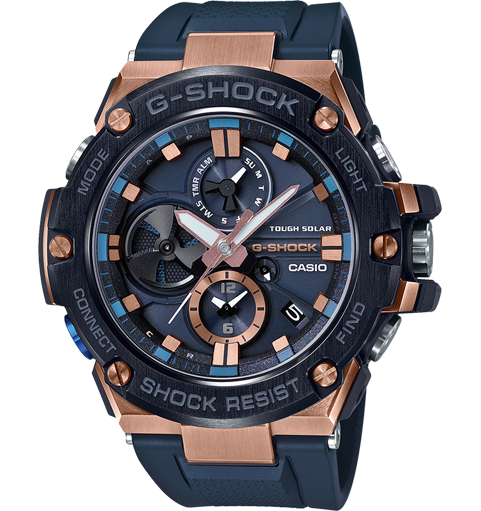 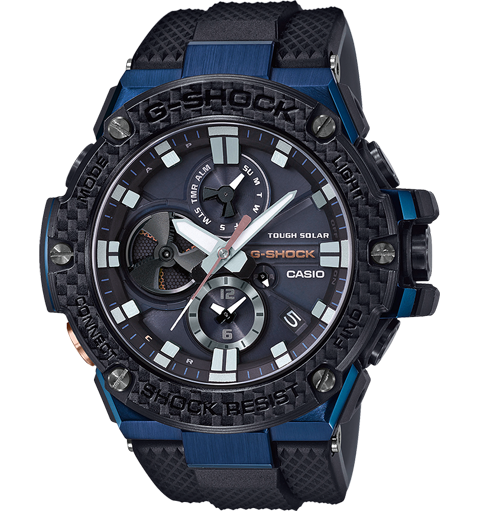 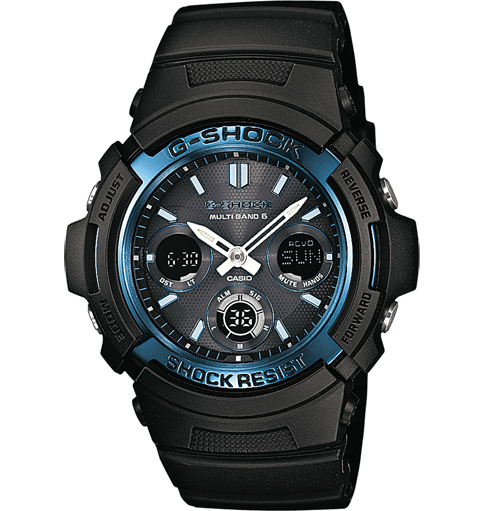 The advantages of radio-controlled watches are obvious: Once set to the corresponding time zone, G-SHOCK watches always display the exact local time. 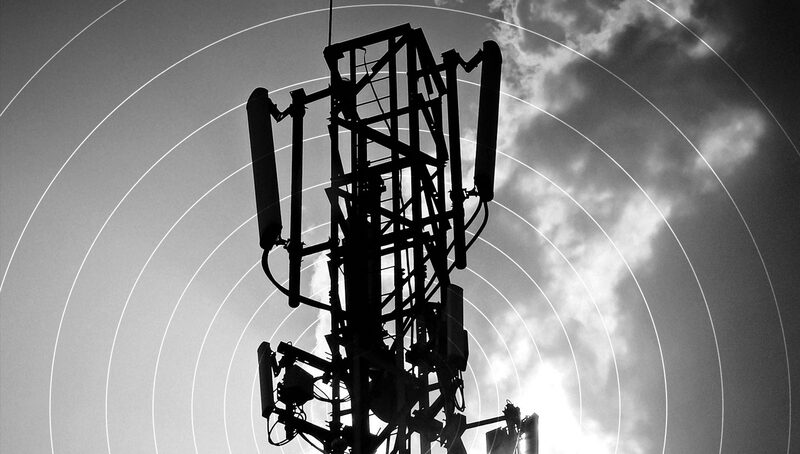 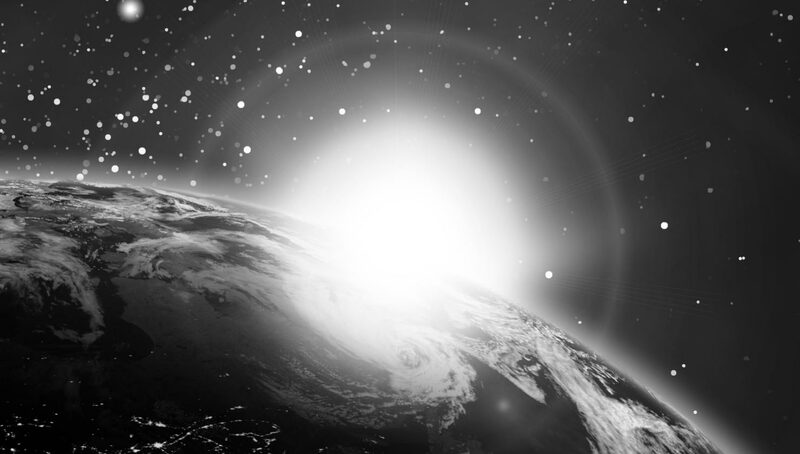 They receive radio signals throughout almost all of Europe — and in the case of many models also in North America, parts of Canada and Mexico, as well as Japan and China. 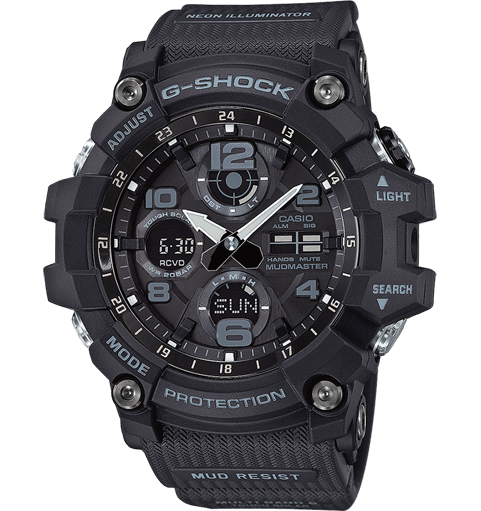 In Europe, the change from summer to winter time is also completely automatic. 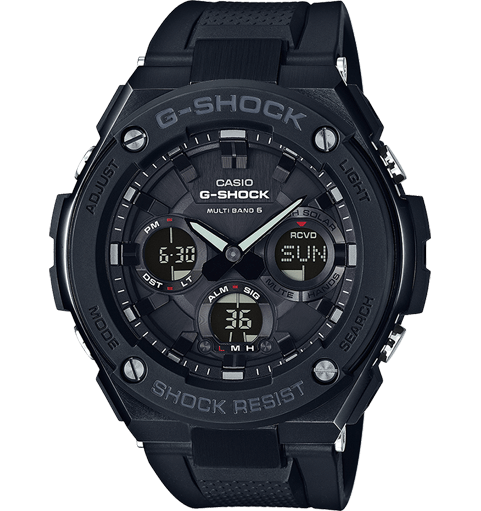 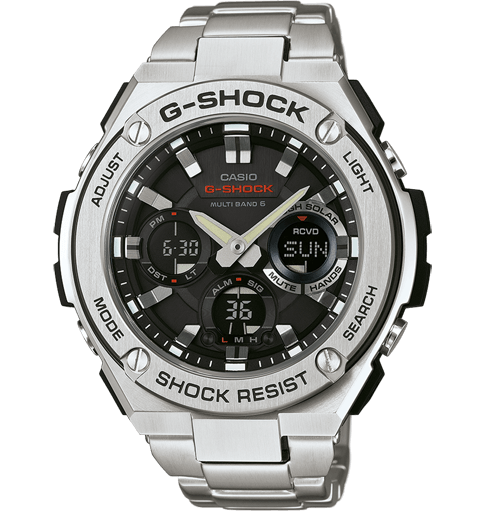 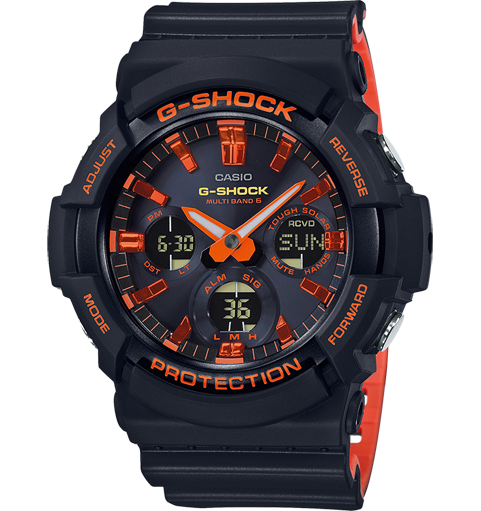 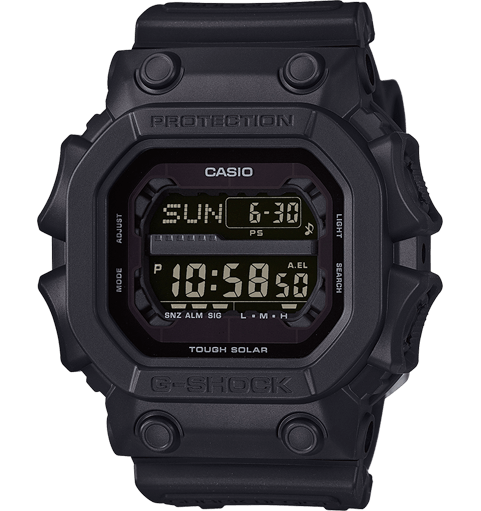 Integrated solar technology puts the finishing touch to the robust G-SHOCK watches: As an independent and environmentally friendly feature, TOUGH SOLAR® models are equipped with an inconspicuous solar cell on the face that stores energy from sunlight, ensuring the watch’s power supply. 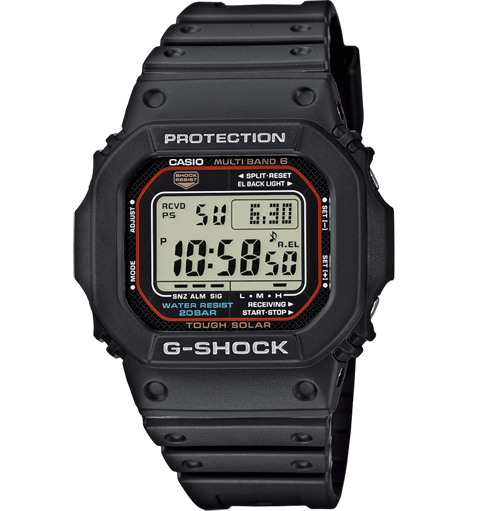 "Surplus" energy is stored in a rechargeable battery which, if necessary, can be released again when the watch is situated in the dark, making the classic battery change a thing of the past. 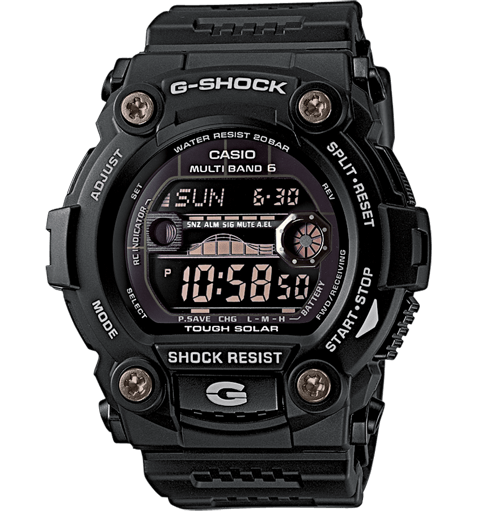 The battery is charged automatically and does not require manual activation. 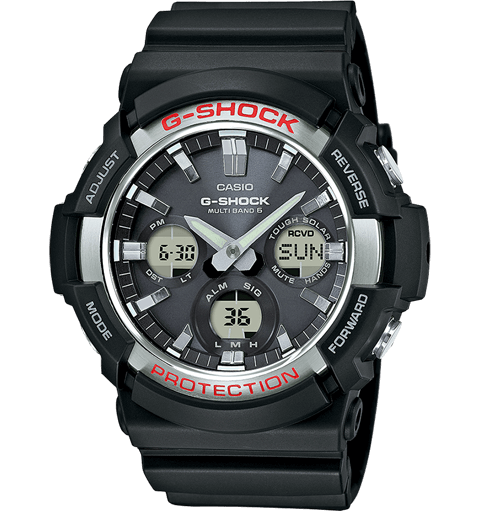 If the watch is in the dark for a longer amount of time it goes into energy-saving mode independently. 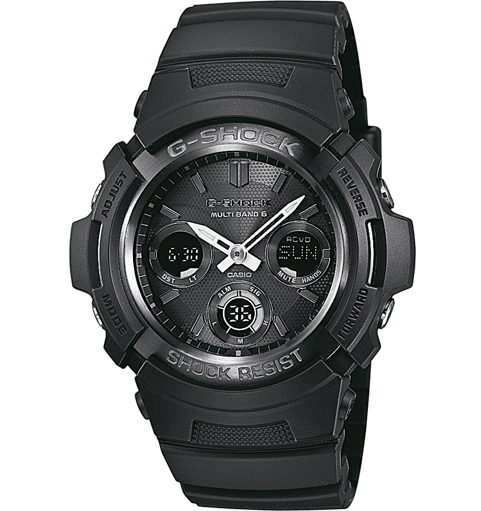 This means that it has a darkness reserve of up to 24 months. 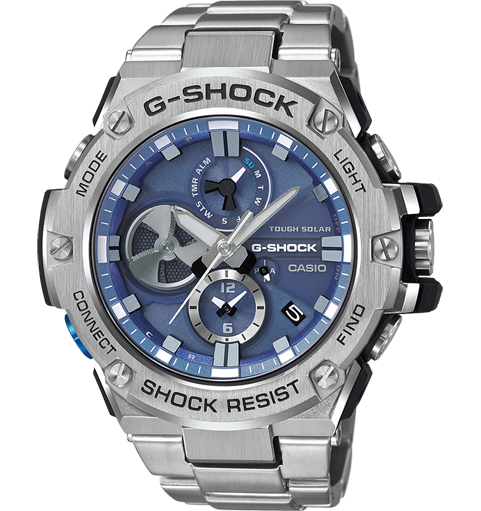 The innovative Smart Access system offers quick and intuitive access to all important functions via an electronic crown. 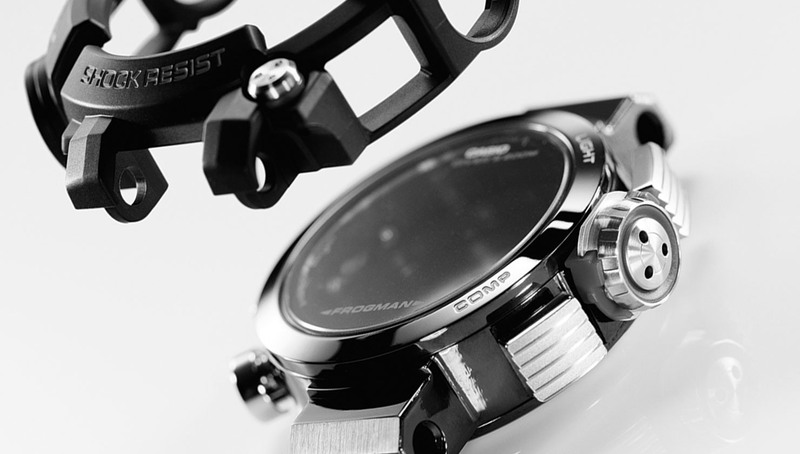 By rotating and pressing the crown, it is simple and straightforward to set functions such as the alarm or timer. 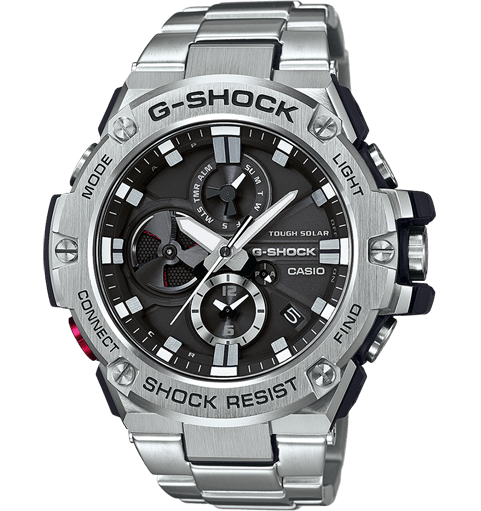 The Smart Access system is protected by a crown switch locking feature, preventing the watch from switching unintentionally to another mode. 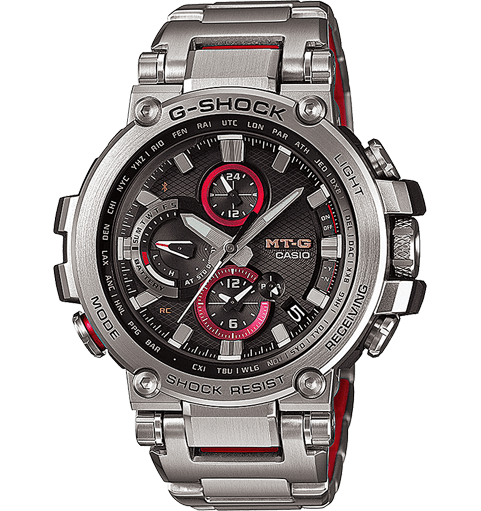 The Tough Movement technology brings together four innovative functions: time display accurate to the split second thanks to Multiband 6 radio technology, environmentally friendly Tough Solar, extreme shock resistance thanks to the hybrid design, and automatic hand adjustment. 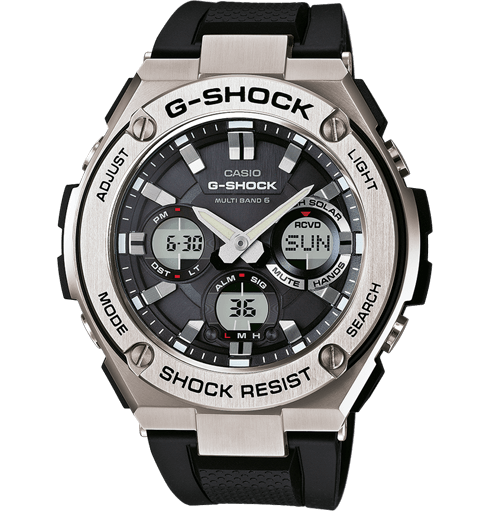 The basic position of the hands of analogue G-SHOCK models is checked every hour for precision and corrected as necessary, both when adjusting (e.g. 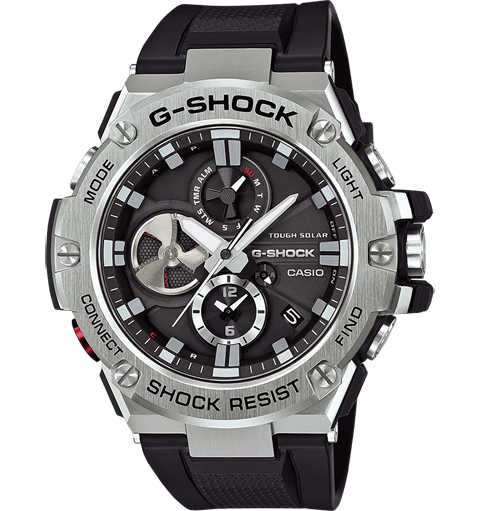 due to shocks) and following magnetic influence. 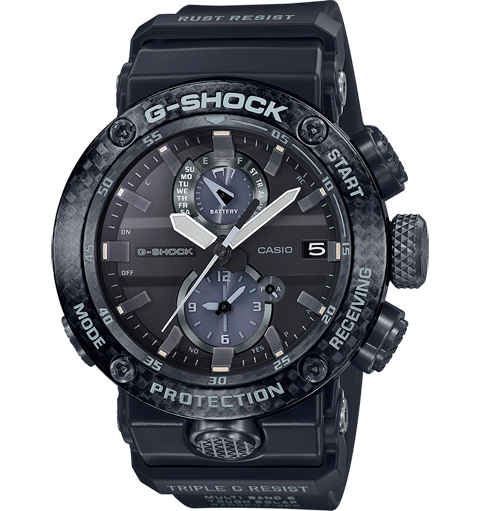 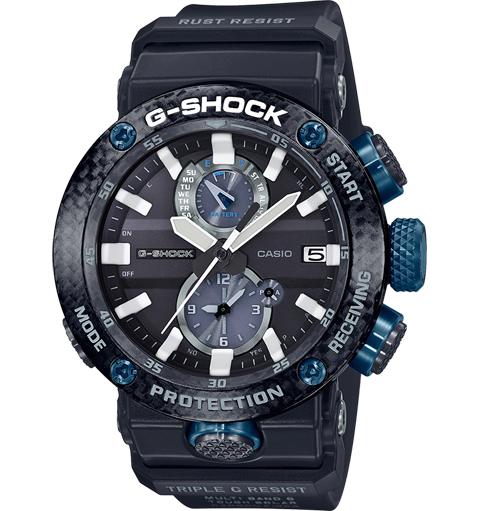 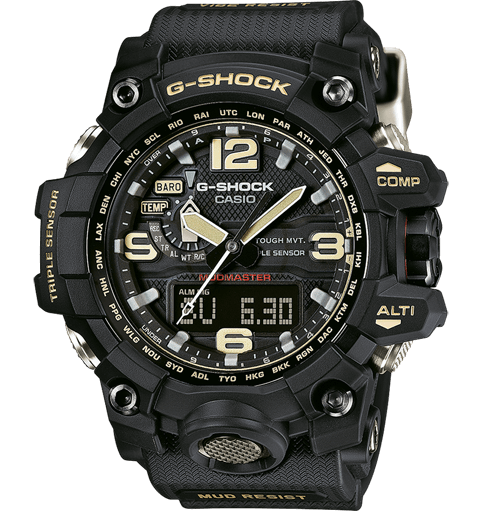 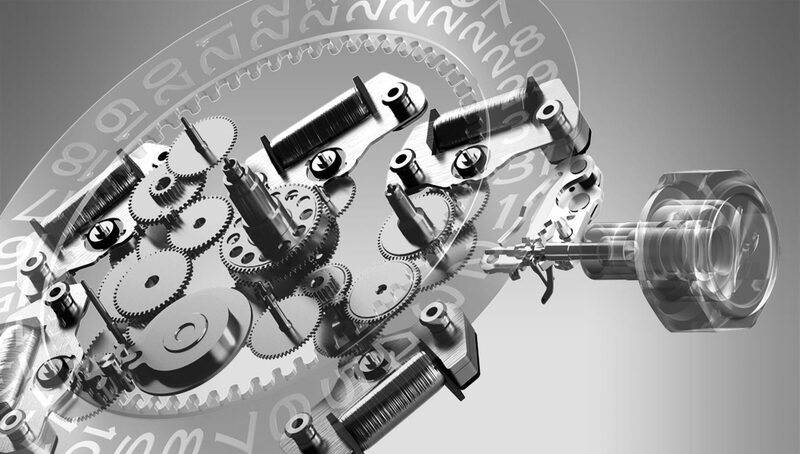 Sophisticated sensor technology is the powerhouse behind selected G-SHOCK models. 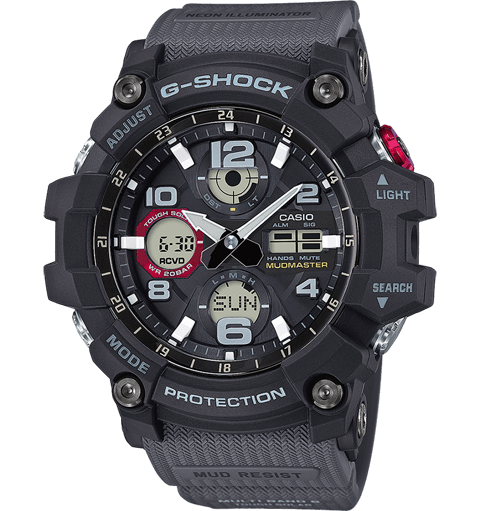 Depending on the model, highly sensitive, extremely small sensors measure geographical direction, height (up to 10,000 m), depth (down to -80 m) and air pressure (260/1,100 hPa)/temperature (-10°C to +60°C), and an alarm even indicates drastic changes in weather patterns. 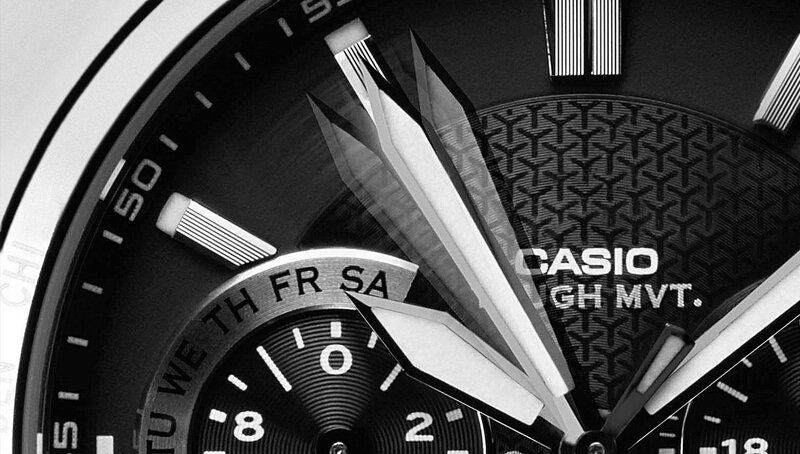 Even under the toughest conditions.